Dual P-Line Pigtail: 2-Pack: dual 2.1mm male, dual female (shared ground). 15" each. Plugs into any 3wire or 5wire BaseSnake Channel. MF2's shared ground wire means use (2) isolated DC (not AC) power supplies. Keep total current draw (per side) to 300mA or less (6-8 "9V battery" type stomp boxes). 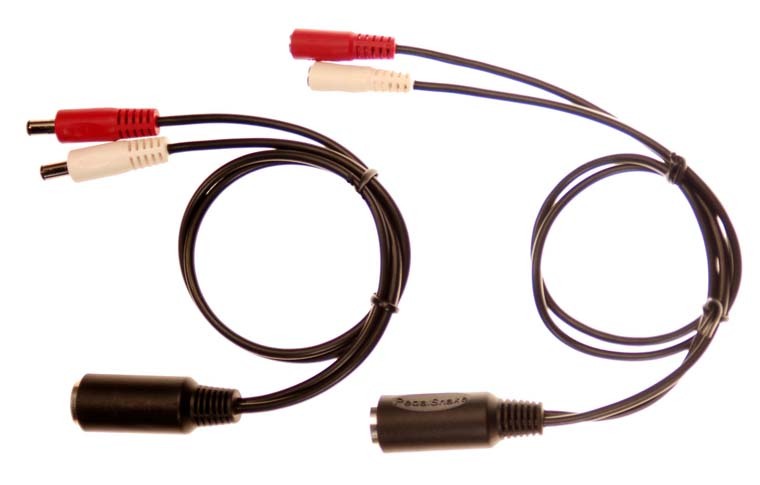 For single pedals that come with power supplies, limit use to power supplies with current ratings of 800mA or less. To get two isolated P-Lines from a 5wire channel, see MF2-I Dual Isolated P-Line.